Once class is over, bring home a special souvenir, as well as a copy of the recipes used in class! 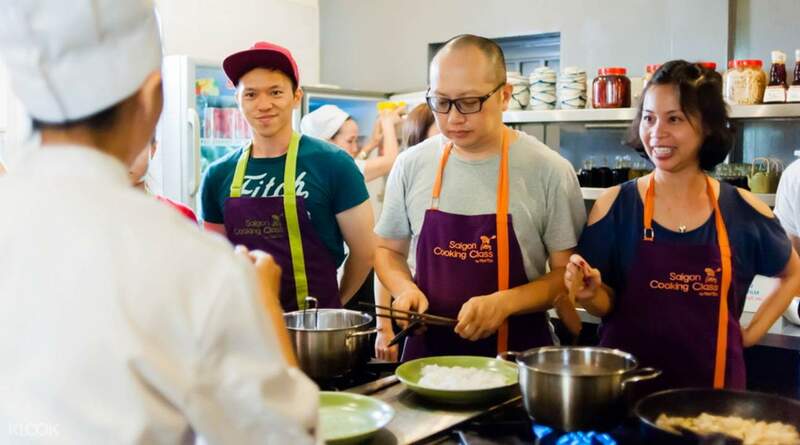 Enjoy a unique, one-of-a-kind experience during your visit to Vietnam by joining the fun and exciting Saigon Cooking Class in Ho Chi Minh. 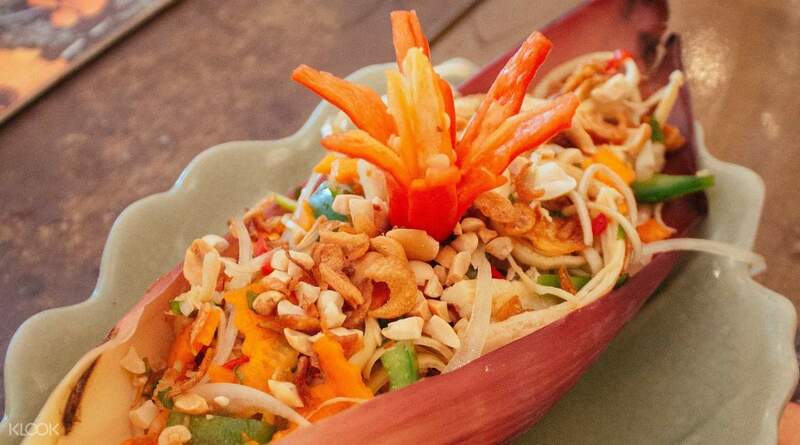 Headed by the Hoa Tuc Restaurant, famous in the city for their traditional recipes that feature contemporary twists, both novices and professionals alike will learn something new about Vietnamese cuisine! Get your own cooking station inside the cooking studio, and watch as the professional chef demonstrates, with great detail, all that you need to do to prepare every dish. All you have to do is follow suit for the rest of the class, and you’ll be preparing delicious Vietnamese cuisine in no time. You'll be using only fresh ingredients that are locally-sourced, without any artificial flavorings, to cook a variety of authentic dishes such as Bánh Xèo (Vietnamese Crepes,) Cuốn Diếp (Mustard Leaves with Vegetables and Prawns,) as well as a decadent dessert that varies from day-to-day! Don't be too shy if you have any questions that pop up in your head, as the staff are fluent English speakers and can answer you with no difficulty. Once class is over, you'll get to bring home a cute souvenir to remember it by, as well as a copy of the recipes so you can recreate these dishes back home! 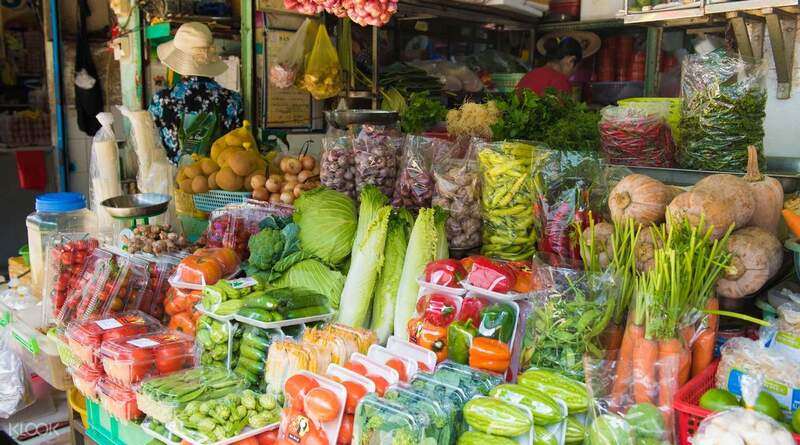 If you wish to see more of Vietnam, you can also join the Ben Thanh Market Tour for an additional cost, where you'll get to observe the locals as you shop for your own ingredients. 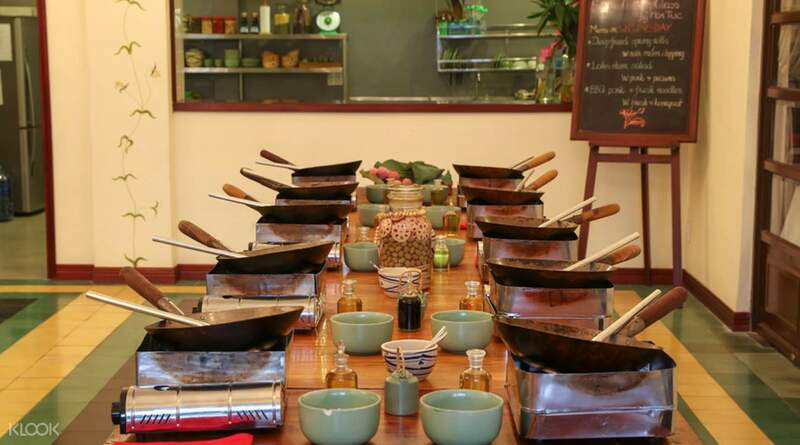 Saigon Cooking Class gives you your very own cooking station inside the classroom! Don't be too shy to ask questions - the English-speaking staff can answer them without any issues! This class was great! The menu accommodated vegetarians and we were able to bring our young children. The staff spoke great English and did a great job entertaining our kids. This class was great! The menu accommodated vegetarians and we were able to bring our young children. The staff spoke great English and did a great job entertaining our kids. Wonderful class overall. The brief tour of Ben Thanh Market was interesting. The leader of the tour gave a few useful tips pertaining to shopping at that market. The cooking class was amazing! Chef Oanh did a great job leading the class to make amazing food. I look forward to try to make them myself. Tip: Don't eat a big breakfast nor lunch because you will cook and eat 3 different dishes (full size) and dessert. Wonderful class overall. The brief tour of Ben Thanh Market was interesting. The leader of the tour gave a few useful tips pertaining to shopping at that market. The cooking class was amazing! Chef Oanh did a great job leading the class to make amazing food. I look forward to try to make them myself. Tip: Don't eat a big breakfast nor lunch because you will cook and eat 3 different dishes (full size) and dessert. Cooking experience was great. Instructor was very patient in teaching her knowledge. Receipes taught were very flavorful, so authentic. Down side is, we were 11 in the class. Cooking experience was great. Instructor was very patient in teaching her knowledge. Receipes taught were very flavorful, so authentic. Down side is, we were 11 in the class. The chef is very nice and good at English. We enjoy the interaction with her very much. The class is interesting and useful. We will definitely take it again. The chef is very nice and good at English. We enjoy the interaction with her very much. The class is interesting and useful. We will definitely take it again. Wow! 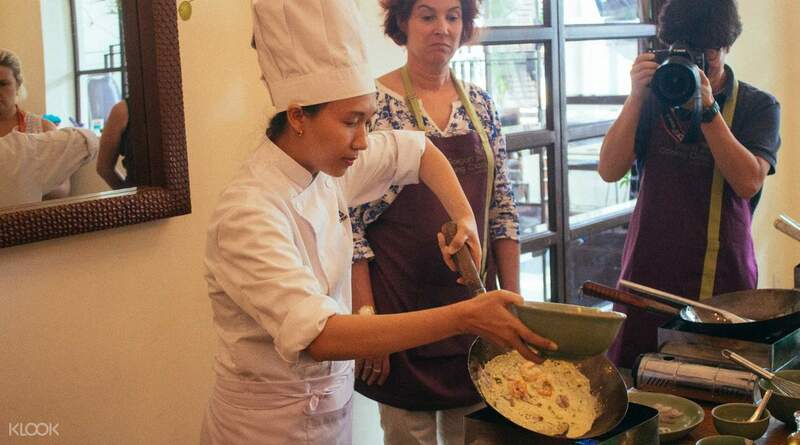 It was a great experience with Saigon cooking class! The cooking instructor clearly explained her teaching so everyone could achieve & cooked so delicious food! Great class & get to make friends from around the world! Wow! It was a great experience with Saigon cooking class! The cooking instructor clearly explained her teaching so everyone could achieve & cooked so delicious food! Great class & get to make friends from around the world!